This pack contains 1 copy of Macroeconomics Global Edition + 1 printed access card to MyEconLab with eText. In Macroeconomics, Blanchard presents a unified, global view of macroeconomics, enabling students to see the connections between goods markets, financial markets, and labor markets worldwide. Organized into two parts, the text contains a core section that focuses on short-, medium-, and long-run markets and three major extensions that offer more in-depth coverage of the issues at hand. From the major economic crisis and monetary policy in the United States, to the problems of the Euro area and growth in China, the text helps students make sense not only of current macroeconomic events but also of events that may unfold in the future. Integrated, detailed boxes in the Seventh Edition have been updated to convey the life of macroeconomics today; reinforce lessons from the models; and help students employ and develop their analytical and evaluative skills. 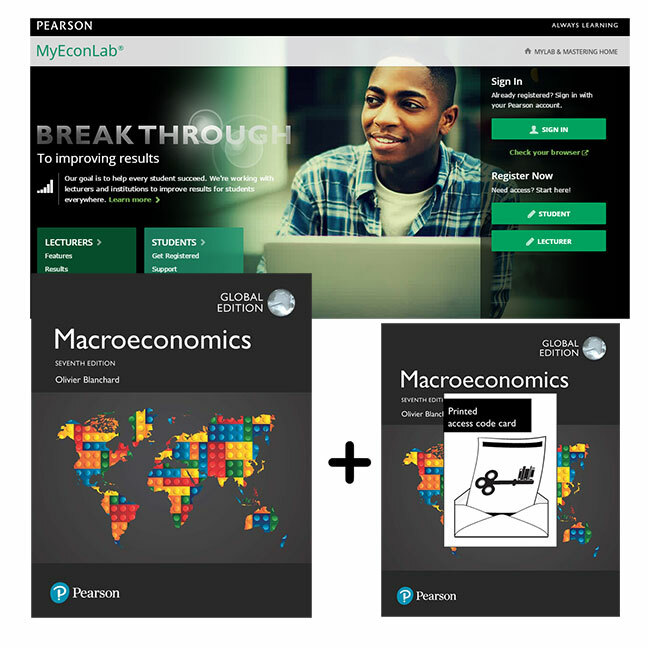 MyEconLab is not a self-paced technology and should only be purchased when required by an instructor.